In this modern era money making is not always about finding winners and a few losers can be just as profitable. Would The New One really have won the Christmas Hurdle if he had not blundered at the last? I don’t think so. 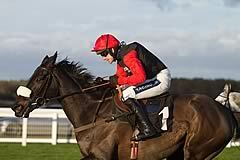 Watching the race again, even though his jockey Sam Twiston-Davies lost an iron his mount lost very little momentum. My Tent Or Yours, his conqueror that day, was very strong from the last and it is far from certain that the result would have been different given a cleaner finish. He may turn the form around with My Tent Or Yours at Cheltenham because he is a stronger stayer, but for all of his course form and glowing references from his trainer I just don’t think he really has the speed to deal with Hurricane Fly, Our Connor, and others. In this company this horse is going to have a real baptism of fire, and at this stage of his promising career it may be too much. After all this is as strong a Champion Hurdle we have had for years and as good as this horse is I am not sure he is a champion. Lay him in the win market for the Champion Hurdle at 4.0. Let's move on from the debate about whether or not he was given a bad ride in the Cleeve Hurdle at Cheltenham last month. I thought he was, others disagree. Bad ride or not he was way below form. If we adopt the populist approach, he needed the run and got tired up the hill in the conditions. If you take that approach he was miles below his best. Surely the Big Bucks of old even nearly fit could have beaten Knockara Beau, whatever the conditions. The suspicion has to be that he may not be as good as he was. Paul Nicholls is adamant he has come on loads for the run - that is good news for all fans of this game, but the reality is that he will have to have come on an awful lot to improve by around the 20lbs that he is going to have to find. This is also going to be a massive test of Sam Twiston-Davies's bottle and pace judgement, and as a good a jockey as he is that is not an ideal situation if you are going to have the house on. One further point about him is that if the vibes from Ditcheat are correct, you will know your fate before the race because he will be 6-4. For now market confidence is tepid and that is a massive negative. Lay Big Buck’s in the win market at 3.8 or less on the exchanges. Gary Moore’s horse is hard to fault and I may be committing financial suicide here, but I believe this is a deeper race than many have suggested. 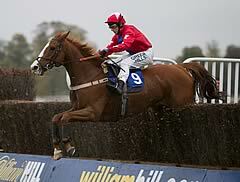 As good as Sire De Grugy is he has something to prove at this track. The eight-year-old’s two previous efforts at Cheltenham in the Shloer Chase in November and the Arkle Trophy Trial in 2012 resulted in defeat, and on both occasions he did not jump as well as he can. Course form is vital at Cheltenham, and to my eye errors may cost him. His record since he was sent chasing is impressive and his form figures read 12141112111. He is therefore definitely not a place lay, but in terms of winning the race he has not only to jump better at the track but also be better than other decent chasers with good course form. Captain Conan is a fast and tough horse who likes the track, Al Ferof is dangerous if he runs in the race dropping back in trip on forecast better ground. Arvika Ligeonniere could be the rising star of the two-mile chasing division and we all know what Sizing Europe can do, even if a little older. I would love Sire De Grugy to win for Moore, but he is vulnerable and should be laced in the win market at 3.4 on the exchanges. 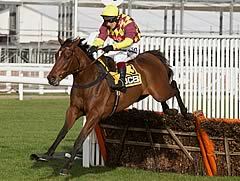 The RSA Chase looks as if it is a deep race this year and I am keen to lay Corrin Wood for a place. This is lay based on running style, as opposed to one purely derived from the form book. The form book does tell us, however, that in his three chase wins he has beaten only eight horses. That said, Corrin Wood was particularly impressive last time at Warwick where some prodigious leaps down the back sealed the race. Now in the RSA he is got a much tougher task on his hands trying to run a whole bunch of classy rivals into the ground. He will surely try to make the running, for that is how trainer Donald McCain and jockey Jason Maguire like to go about things. To dominate this field and grind them into submission would be some effort and while I can still see him being in contention coming down the hill, he may simply set the race up for the likes of Smad Place and Ballycasey. In short, given how he is likely to attack the race early on he will be vulnerable in the latter stages and should represent a decent place lay at 3.75 on the exchanges. If you like laying in running, then so much the better. Finally here is a place lay based on conditions more than anything else. By the time we get to the Triumph Hurdle on Friday the ground at Prestbury Park is forecast to be reasonably quick in comparison to conditions that have prevailed for the last few months. As such I think a small lay of Le Rocher is the way to go. 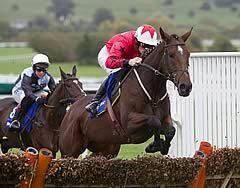 This horse was really impressive at Cheltenham where he beat Kentucky Hayden by 10 lengths in January. That performance entitles him to his place in the market, but the win came on heavy ground. Indeed virtually all of his racing has been done on really soft ground. The big question is how will he handle quicker conditions? The way he stayed on relentlessly for his last two wins in heavy ground suggests to me he is all about stamina, and if it comes to a slog you want to be with him. On a likely quicker surface, however, he could be vulnerable to sharper types. Lay him in the place market at 2.98. Putting up lays for the Festival is something of a negative experience for me. There will be plenty of positivity here on the blog next week and with selections every day of the Festival. Don't forget my blog this Saturday, when I will be looking ahead to Super Saturday at Meydan in Dubai.